Like anyone with a regular commute you probably take the same path home day after day. 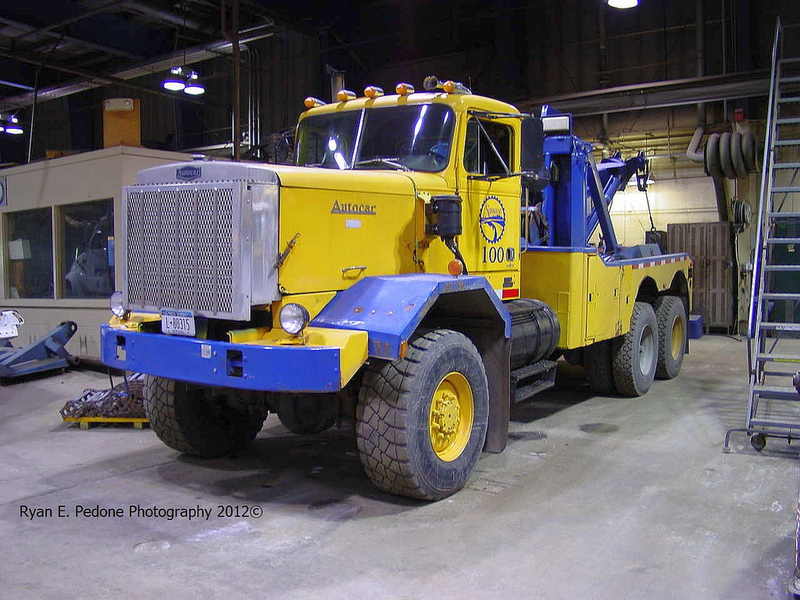 I am luckier than most as I usually get to see a nice looking Autocar during my drive. 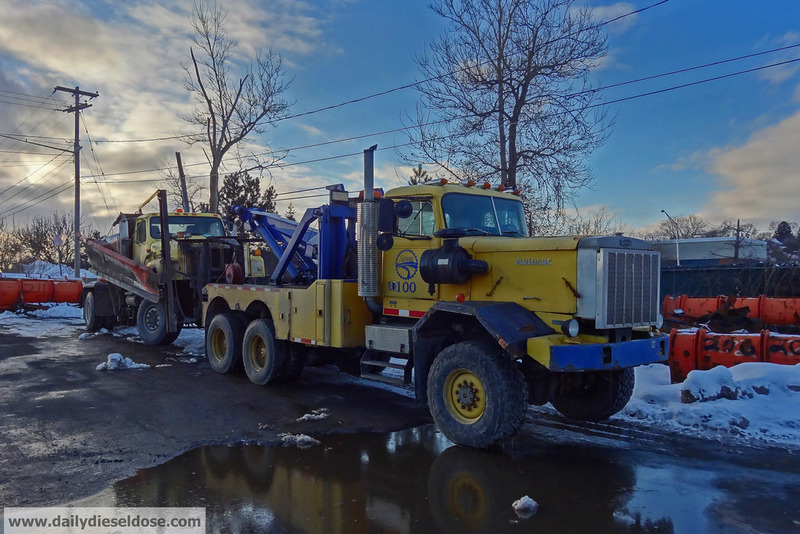 No matter the kind of day I have or the conditions of the traffic I always kept an eye out for the 6×6 Autocar tow truck at the Syracuse DPW headquarters. It has maintained a regular parking spot on the north side of the massive garage where trucks are stored and serviced for years. It was also a friendly face that I looked forward to seeing on a regular basis. At some point this early spring the truck disappeared for days. And then weeks. And then months. 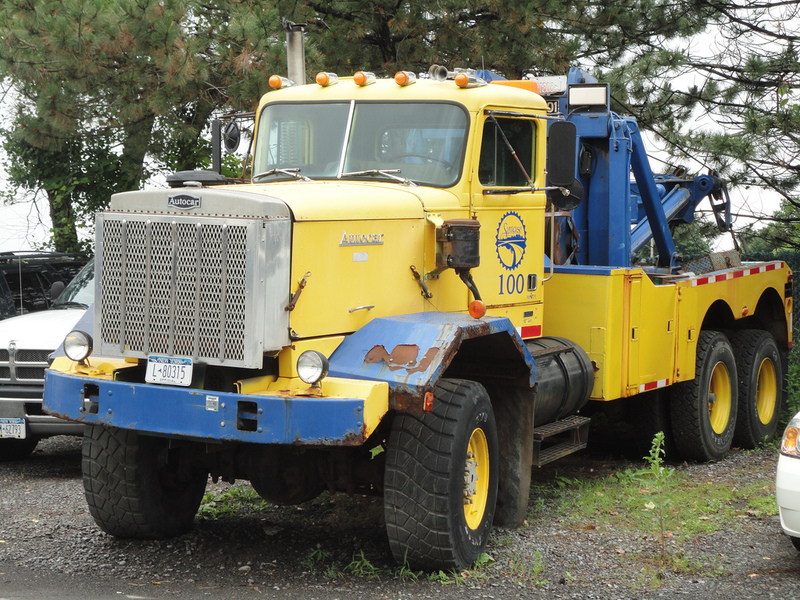 I figured the worst had occurred and the truck had been sold at auction. But how could this be! I follow Auctions International with a religious fervor. 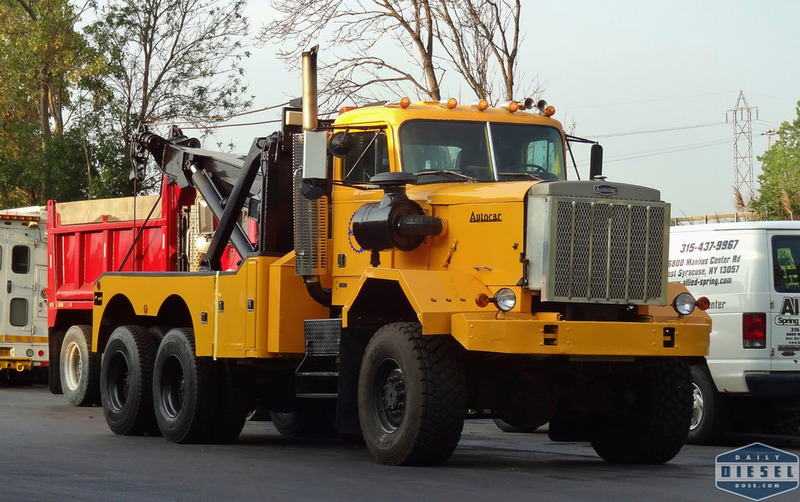 With a new mayor elected this past fall a new DPW superintendent took charge and seemingly began to clean house of old trucks. I dug back through the records at AI but couldn’t find any listings of the Autocar. Being the eternal optimist that I am when it comes to trucks (pessimist all other times) I envisioned the truck undergoing a full restore. Well, I’m here to tell you that positive thinking does work. Here is the DK wearing a fresh coat of paint all the way around including new door decals in case you think someone is trying to make the truck look better for an upcoming listing. *Update* Sources of true knowledge have concluded this is a DK model. A look back at this truck from the past 10 years or so. Do you have an Autocar you would like to see featured in Autocar Mondays? Email eric@dailydieseldose.com today! Looks good, I would rather see the original style headlights instead of the plow lights they put on it, must have had those in their parts room. Even so I would drive that truck for free. Love these old Autocar workhorses.